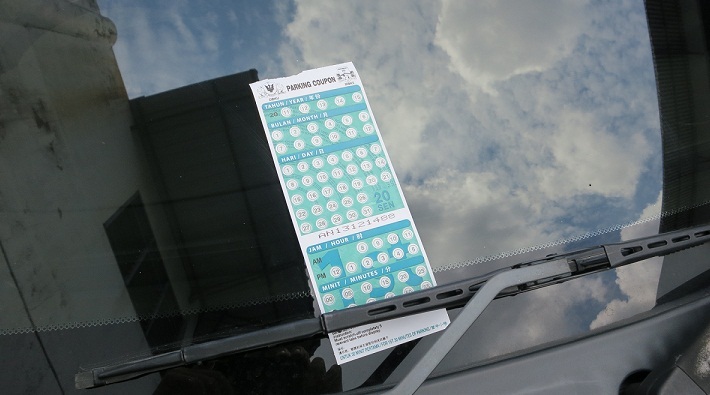 PLEASE TAKE NOTE THAT IT IS AN OFFENCE COMPOUNDABLE UNDER ARTICLE 10(1) OF THE ROAD TRANSPORT ACT TO DISPLAY PARKING COUPONS WITHOUT SCRATCH OFF COMPLETELY THE 5 RELEVANT TABS, THE YEAR, MONTH, DATE AND, TIME OF COMMENCEMENT OF THE PARKING OF THE SAID VEHICLE AND OTHER PARTICULARS INDICATED. KUCHING CITY PARKING SYSTEMS SDN. BHD. (KCPS) PARKING WARDENS ARE INSTRUCTED AS FROM ONE(1) WEEK FROM THE DATE OF THIS PUBLICATION TO ISSUE SUMMONS UNDER ARTICLE 10(1) OF THE ROAD TRANSPORT ACT TO MOTORISTS’ DISPLAYING UNSCRATCH PARKING COUPONS ON THEIR VEHICLES AS SHOWN BELOW.